Sometimes, small is better. 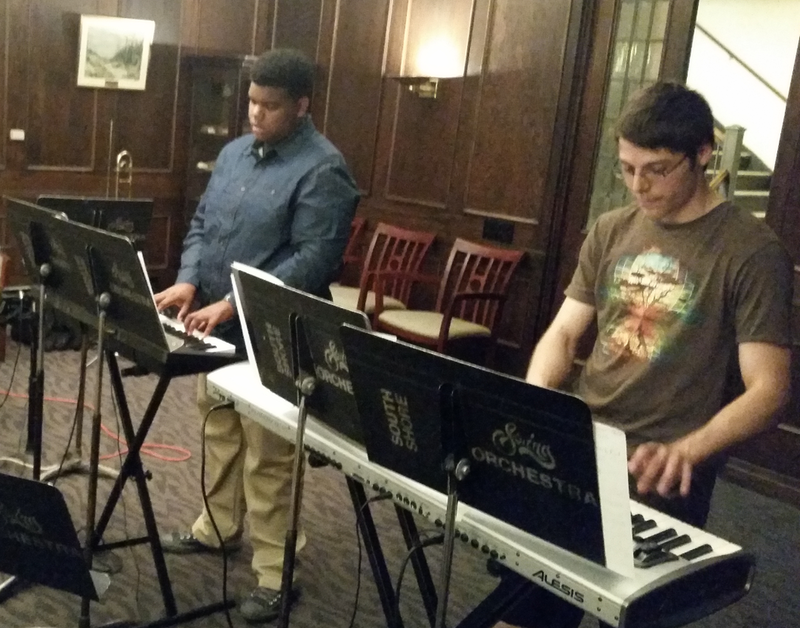 Welcome to South Shore Swing Orchestra's Small Ensemble, a performance based group that plays out at local events and venues. The SSSO Small Ensemble is an advanced ensemble, focusing on more challenging arrangements and improvisatory techniques. In addition to regular SSSO Thursday night rehearsals, the Small Ensemble rehearses biweekly. Membership in the SSSO Small Ensemble is by audition only. However, advanced students in SSSO are encouraged to audition. Check out some of our performances below! Bowing together is always good. EMAIL us or VISIT us on FACEBOOK. We love hearing from you! STAY TUNED for our Winter and gala Spring Concert details!